G.SKILL International Enterprise Co., Ltd., the world leader in memory products and solid-state hard drive performance, the market has entered the peripherals by launching product lines and equipment advanced peripheral Ripjaws for gamers at exhibition Computex 2015. The products in the line Ripjaws include: 2 mechanical keyboards , mice RGB 1 and 2headphones 7.1. 1. 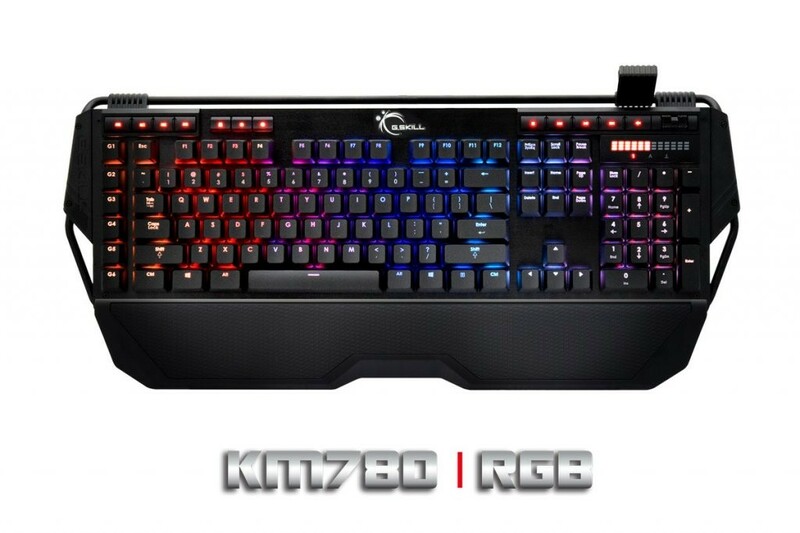 Mechanical gaming keyboard and KM 780 MX KM780 RGB color choice with two LED, RGB or crimson, KM780 and KM780 RGB are two sample MX designed keyboard aims to bring the ruggedness and suitable for all like to use whether you are a professional player or civic office. 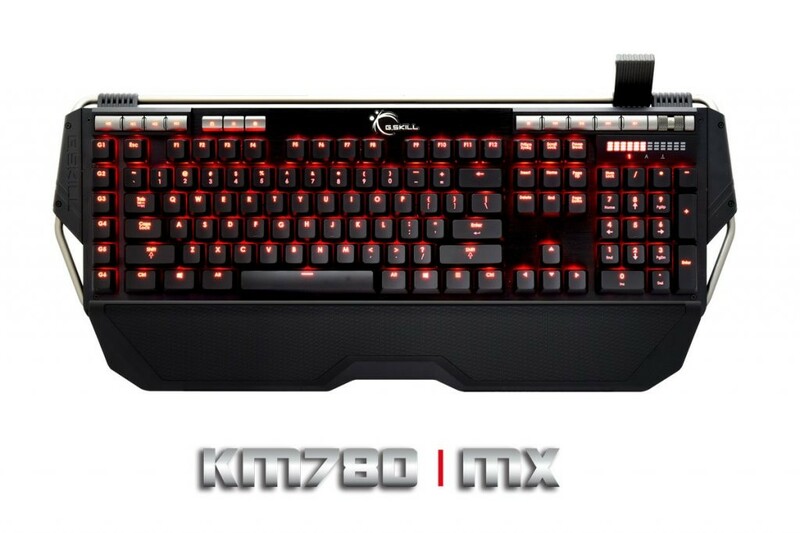 Using Red MX and MX Brown switches from Cherry switch manufacturer reputation, with durability up to 50 million clicks, allowing KM780 keyboard product line with durability up to several years to intense daily use . Especially, KM780 series also integrates a memory chip available on the motherboard, allowing you can save your own settings and do not need to reconfigure each use. This is extremely handy for gamers frequently move and use many different computer. You can store up to three different configurations, including LED mode, macro settings, the delay when pressing, the settings for each different game … These modes can be converted quickly and easily with 3 buttons (M1-M3) built on the keyboard itself. Products are built specifically macro 6 button (G1-G6), the rapid correction mode button LED and a multi-media buttons KM780 series turned into a pair of extremely strong keypad. 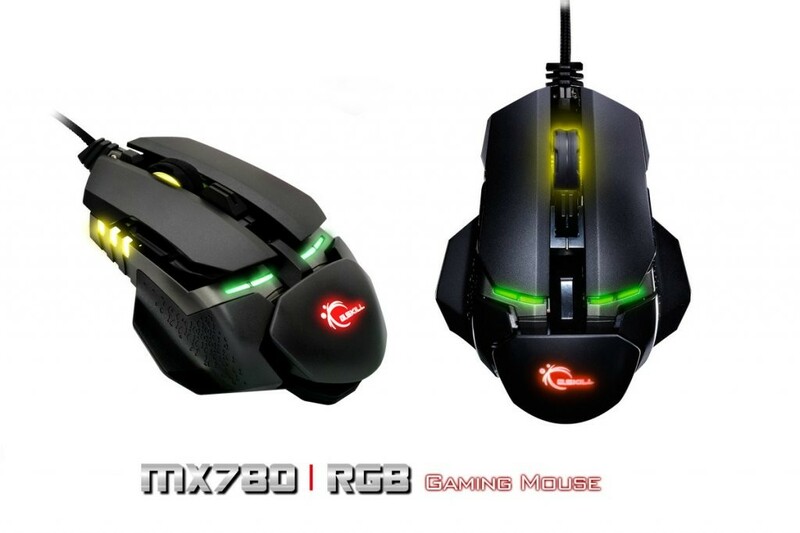 Mouse Games Game MX780 RGB Designed with the latest technology along with the ability to customize the appearance to suit the different mouse grip, MX780 RGB design is suitable for both left-handed users and users agree hand. Products are also equipped with an extra set of weights can be tweaked to create maximum comfort for users. To deserve a premium product, GSkill has equipped MX780 top RGB components, including: a processor powerful 32-bit ARM sensors branded up to 8200 DPI Avago, Omron switches for the high quality durable up to 20 million clicks, mouse feet premium PTFE, hot switch DPI is programmable with 5 levels are displayed in different colors … In addition, like keyboard KM780 series, MX780 can store 5 different profiles, each profile includes parameters leds and the parameters of 8 programmable buttons on the mouse itself. 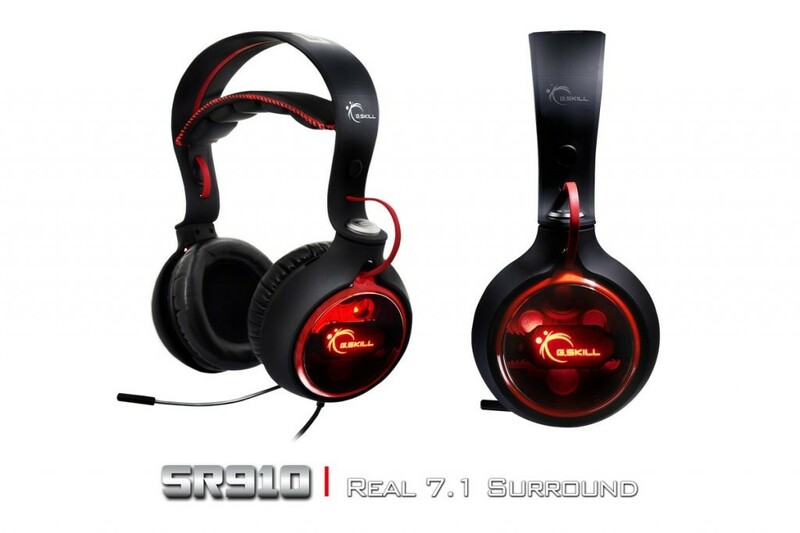 Gaming headset SR910 / SV710 World in your game will become more vibrant with 7.1 SR910 headphones, integrated 10 real drivers, or with headphones SV710 7.1 emulator, simulator sound Dolby 7.1 technology Pro Logix IIx via two 50mm drivers. You can immerse yourself in sound with anti-jamming design ear tubers, enjoy high precision sound with Xear 3D positioning technology and enjoy the comfortable feeling gaming for hours with premium leatherette ear cushions with the new gaming headsets of GSkill. Also, when playing the game requires teamwork still high, you could totally trust the SR910 / SV710 with ENC Technology (Environmental noise cancellation) built-in microphone of the product. To perfection, accompanied SR910 / SV710 is the software that you can tweak parameters fast fight to make the surround sound experience on 2 products become more wonderful. 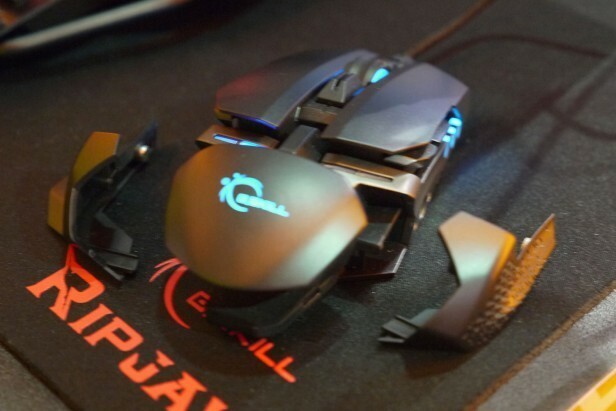 The G gaming products .Skill Ripjaws will be sold in quarter 3/2015.